IBM closed 2018 on a strong note, righting the ship from the previous quarter in its cognitive solutions business to deliver annual growth for the first time in seven years. 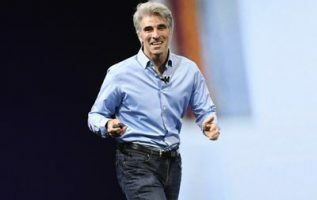 After a disappointing Q3 that snapped a growth streak, the technology stalwart surprised investors Tuesday by revealing elevated software sales backed by strong demand for its consulting services. In the company’s fourth-quarter earnings call, CFO James Kavanaugh said Big Blue saw $21.8 billion in revenue for the quarter ending Dec. 31. That exceeded average analyst expectations by $100 million, and earnings per share of $4.87 also beat forecasts. Kavanaugh told investors a portfolio of “high-value services and software” gives IBM confidence it will deliver earnings per share of at least $13.90 in 2019. The better-than-expected results validate IBM’s “hybrid, open approach to cloud,” Kavanaugh said. 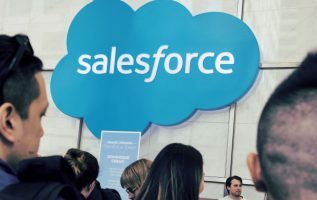 And the positive outlook for next year is motivated by trends the company sees in hybrid-cloud adoption and strong demand for analytics and AI, applied with an industry lens, to turn data into a competitive advantage for customers. Big Blue’s leaders particularly feel good about its cognitive solutions business, which accounts for all solutions and transaction processing software. That division saw $5.5 billion in revenue in Q4, which was flat in constant currency year-over-year. “Ninety days ago, we had some pretty frank discussions about our portfolio,” Kavanaugh told investors. While IBM didn’t execute in Q3, it remained confident in its software lineup and the value it brings customers. Q4 was a different story. “We grew in hybrid cloud integration software 4 percent. We grew in solution software 3 percent, across many of our offerings, led by data and AI and analytics. We grew in industry verticals led by Watson Health, and transaction processing software,” he said. IBM will “feel even better” when it closes its $34 billion deal to purchase Red Hat probably sometime in the second half of the year, Kavanaugh said. Red Hat will position IBM for leadership in hybrid and multi-cloud, he said, and will drive synergies that yield better results across the business. The Red Hat deal is “all about accelerating hybrid cloud adoption,” he said. Clients are looking to shift entire business processes and applications to the cloud, but have concerns about portability and vendor lock-in. IBM’s software gains were buttressed by strong performance in its two consulting divisions: Global Business Services and Global Technology Services. The strategic imperatives of cloud, mobile, analytics and social delivered $39.8 billion in revenue over the fiscal year. Those high-value, emerging areas of the market now consistently account for more than half of IBM’s total business, the CFO noted. The strong Q4 results came on the back end of a mainframe cycle, which resulted in an expected revenue headwind. Nonetheless, the z14 stands as one of the most-successful mainframe cycles the company has had in a long time, Kavanaugh told investors. 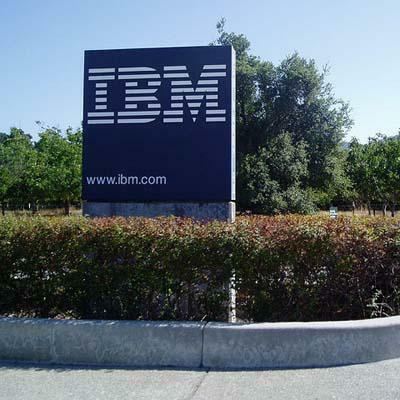 Last month, IBM also divested its on-premises collaboration and marketing software businesses in a $1.8 billion sale to HCL Technologies—a deal that showed up in the latest financial disclosure. IBM’s Q4 earnings report drove the company’s stock up 7 percent in after-hours trading to above $130 a share.